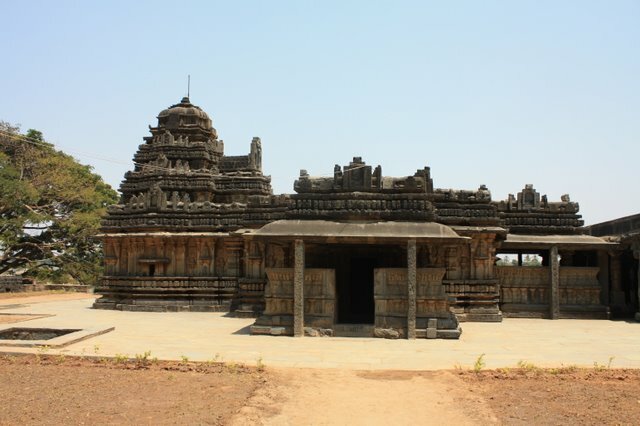 "Muktesvara temple" is a dwikuta temple and is a masterpiece portraying the style, culture and architecture of the Chalukyan era. It is considered to have been built in the Jakkanacharyan style of Architecture. 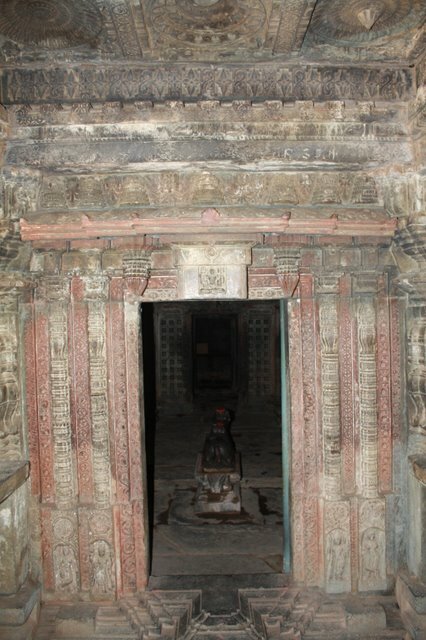 There are two entrances to the temple, one from the south and other from the east. Both entrances have beautiful porches. 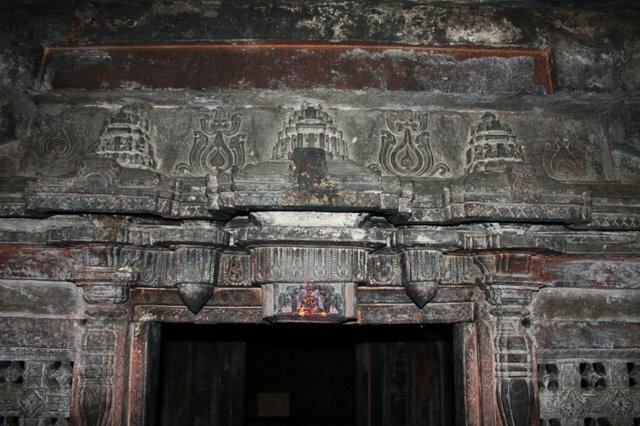 The door frames are decorative and classic, representing true Kalyani Chalukyan Architecture. 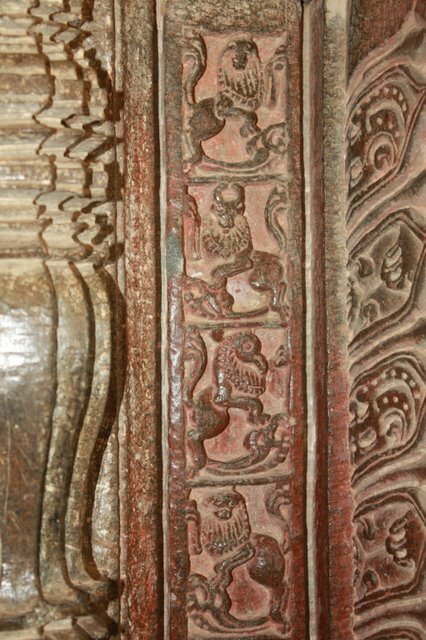 There is also a carving of Lord Mahesvara on the main door lintels. 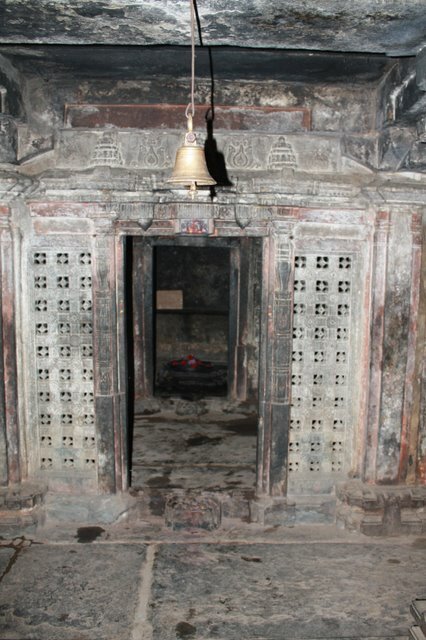 There is a small Shiva Linga inside the Garbhagriha and the door frame of the Sukanasi is skillfully executed. 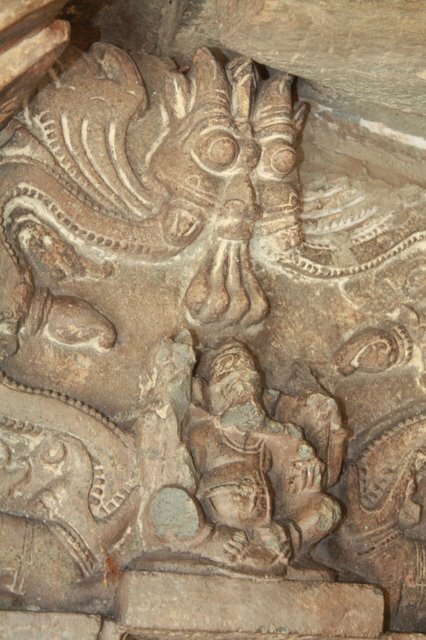 There is a Mantapa on the front side of the east entrance . 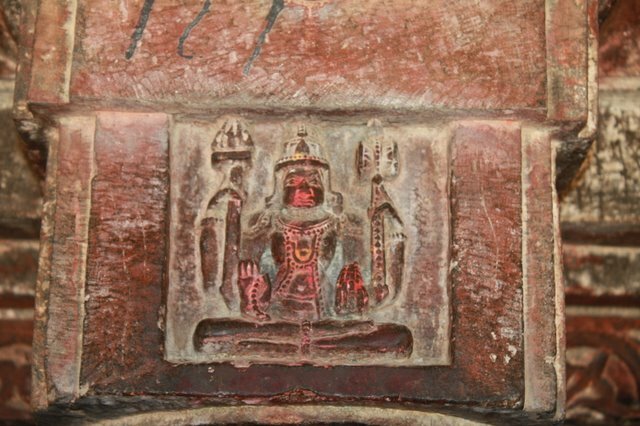 The exterior walls of the temple carry carvings of Lord Shiva in his various forms, Lord Ganesha, Goddess Saraswathi, Lord Krishna, Lord Surya and other gods. 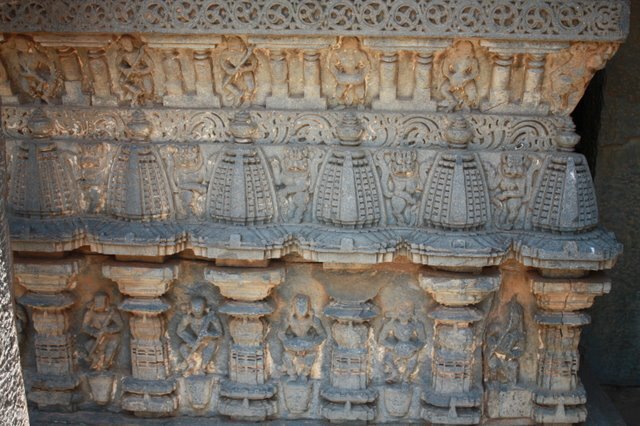 The artistic work on the outer wall is commendable. 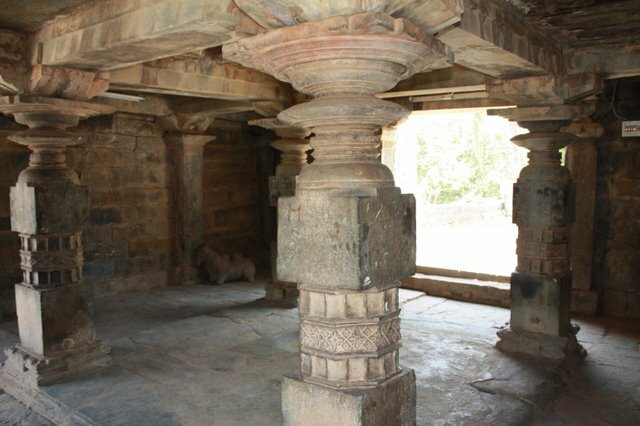 It is definitely one amongst the well maintained temples of Karnataka. The temple remains open throughout the day irrespective of the priest's presence. 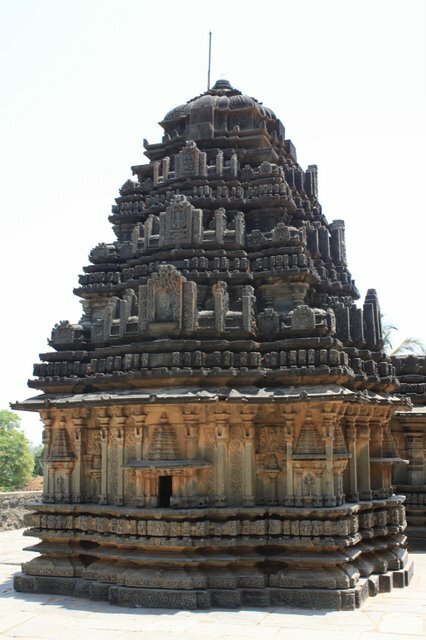 What a gorgeous temple and the carvings are incredible! Your photos always capture the beauty and the detail so perfectly! Thank you for another wonderful tour! Magnificient Temple, there is so much to visit in and around Bangalore. I never visited all these beautiful places, now I will. 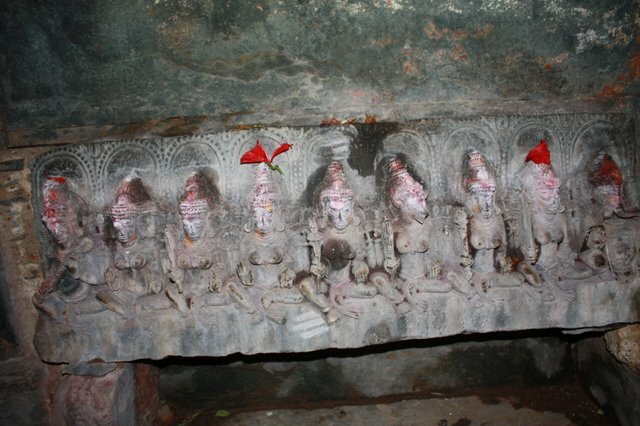 The carvings and pillars and the cuttings on the rocks is superb. Amazing architecture and craftsmanship !Very well captured .Thanks for sharing this wonderful post. What a beautiful temple! and I hadnt even heard of this one before!!! Great details shared. Fantastic post. Incredible! The ancient temples have their own charm. Lovely post! 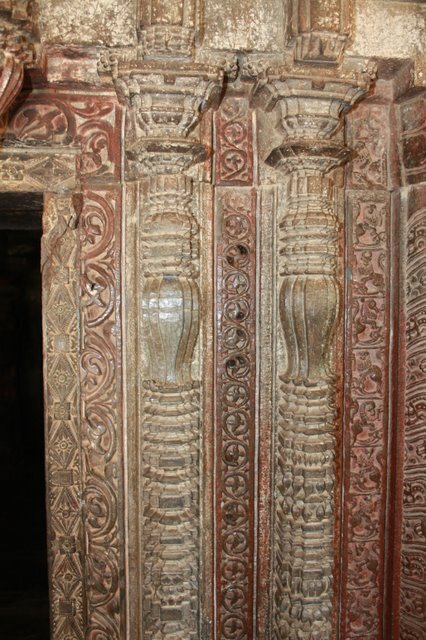 Great work of appreciation for the Chalukyan artwork..
What a very beautiful and old temple! This is an awesome temple! Had never heard of it before! does it fall anywhere close on train route from Bangalore? The temple and carvings are beautiful. I liked this journey... beautiful. You have some very nice pictures on this page. I must appreciate you or your photographer friend, if there is any. I have written an article on the same, you can read it at the following url. Impressive!!! The intricacy is mind blowing!! !